Once again, government to sweeten bitter pill of prisoner release with announcement of new construction. Israeli ministers are to meet Sunday to approve the release of a second batch of Palestinian prisoners on Tuesday under the terms of renewed peace talks. The government reportedly intends to sweeten the bitter pill of the prisoner release by announcement of new construction in Judea, Samaria and Jerusalem – as it did when it released the first batch of terror prisoners in August. Maariv daily said Thursday that 26 prisoners would be freed, the same number as in the first tranche. Prime Minister Binyamin Netanyahu said two days before the July 30 resumption of talks that he had "agreed to free 104 Palestinians in stages, after the start of negotiations and according to progress." Since the August release, Netanyahu's office has made no statement on a second round. The European Union's mission to Israel told AFP that envoys of the Middle East Quartet group would meet the same day in Jerusalem. Israeli public radio said that in tandem with confirming the prisoner release, Israeli authorities would announce a new swathe of housing to be built in Judea, Samaria and Jerusalem. It did not specify how many homes or where. An Israeli official, speaking on condition of anonymity, said in a text message Thursday evening that such continued construction was part of "understandings" reached with the Palestinians and the Americans ahead of the renewal of talks. "Israel will continue in the coming months to announce building in the settlement blocs and in Jerusalem," he wrote. "Both the Americans and the Palestinians were aware in advance of these understandings." 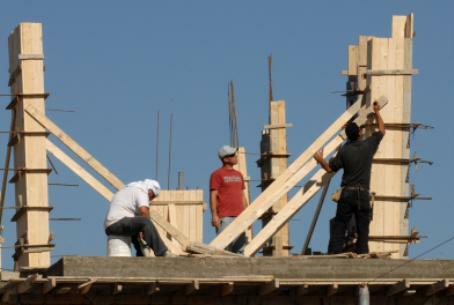 In August, Israeli authorities approved the construction of more than 2,000 housing units in Judea, Samaria and Jerusalem. Israeli media also said Thursday that military forensics experts would begin DNA testing next month on relatives of at least 30 Palestinians killed over the years in terror attacks on Israelis, with a view to returning their remains where a match was found. Public radio said the move was unrelated to the peace talks and was in response to a petition by the families to the Supreme Court.